Dead Leaf Echo bring back the bittersweet aftertaste of that kind of dream where nostalgia ends up mixed together with empty wine bottles and a sugar wet sugar. We have soft singing that seems to grab on to the dream pop genre just before leaving earth into a voyage outside reality, and guitar playing, backed by drums, that go somewhere between The Jesus and Mary chain and nowadays exploration of the various capabilities of guitars as a musical instrument in post rock trips. It might sound like naïve music to an unsuspecting listener, but there are deep pockets of deep, even grim musical realization within these ten songs that make them touch your heart without gloves. There is hope, bent by loneliness on “Flowerspeak”, and there is joy, fixed with a shot of despair, on “Memory Traces”. 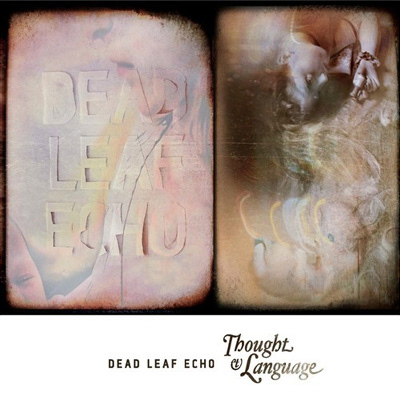 Throughout the album, Dead Leaf Echo steps on these tiny but heavy stones with remarkable dancing moves, and create a solid album for all of us, desperate (post) romantics out there. It’s a good one, try it.